Mike Treman worked and played hard as a federal criminal defense attorney, competitive sailor, and crew coach, and he worked hardest on keeping his extended family together. Dedicated to defending the disadvantaged since his days in the U.S. Marine Corps, Mike was a criminal defense attorney, a crew coach, and a competitive sailor. Legend has it that he only sat through the law school admission test, or LSAT, as moral support for a roommate who was taking it, and even though Mike hadn’t considered law school or studied, his score was superior. He also aced the divorced-father test by raising three sons in an amicable relationship with his first wife, Patricia; her second husband, Jim; and Maury — Mike’s true love for more than three decades. They married in 1997. They got together shortly after Mike and Trish’s last son was born, but a different kind of togetherness was the key to making their lives work. Maury and Trish were Cub Scout den mothers together; the four parents attended parent-teacher conferences together; and everyone celebrated birthdays, Thanksgiving, and Christmas together. At least one of the boys lived full time with Mike and Maury through the years while the others were with Trish and Jim in Santa Ynez, with lots of trading off at the top of San Marcos Pass on weekends and summer vacations. As the youngest, Kevin, told the TV news station that was doing a special on extended families, he thought it was cool to have four parents because there were more people to love. Born in Mineola, New York, Mike transferred to the University of California, Santa Barbara, from Ohio Wesleyan University because the rest of his family was moving to Orange County. Mike and several other students founded the UCSB Crew Club in May 1965 and competed in their first rowing regattas the next school year in a shell borrowed from USC. The Vietnam War was raging when Mike graduated in 1968 with a BA in philosophy. He put in another year pursuing a teaching credential at UCSB, rowing crew, and coaching the novice team, the Meat Hooks, to great success. Realizing he would be drafted, he decided to join the Marine Corps. In September 1969, three months into his service at Camp Pendleton, Mike married Patricia Greschner. The Marines did not send Mike to Vietnam because a brother was already there. They sent him to Pendleton’s brig to develop educational and rehabilitation programs. Here he came to the realization that a disproportionate number of incarcerated Marines in the brig were men of color, and a passion for helping them was ignited that would continue throughout his legal career. A year before he was discharged, the commanding general wrote a certificate of commendation predicting Mike’s work on the educational program would help make it “the best rehabilitation syllabus the Correctional Center has had.” During his service, Mike took five seminars on criminal justice. A sergeant when he was discharged in 1971, he received the Meritorious Mast. Mike attended Pepperdine School of Law and passed the bar exam in 1974. After a brief stint with the legal firm of Ruston and Nance, he opened a law office in Orange County. In 1976, he moved his office to Santa Barbara, where much of his practice was construction and real estate litigation. He also maintained an office in Los Angeles for his federal criminal defense work on the U.S. District Court Panel, which provides counsel for people charged with federal offenses who cannot afford an attorney. He argued some of these cases at the U.S. Court of Appeals for the Ninth Circuit. In 1984, he wrote a brief on an inmate’s right to counsel that was heard by the United States Supreme Court. Patricia and Mike had three sons while he established his legal career. Christopher was born in 1977, during the period when Mike was also coaching the UCSB women’s crew team. Patrick was born in 1979, around the time Mike started commuting to Los Angeles after he was appointed to the District Court Panel. Kevin was born in 1981, the year Mike became head coach of the UCSB Crew Club. 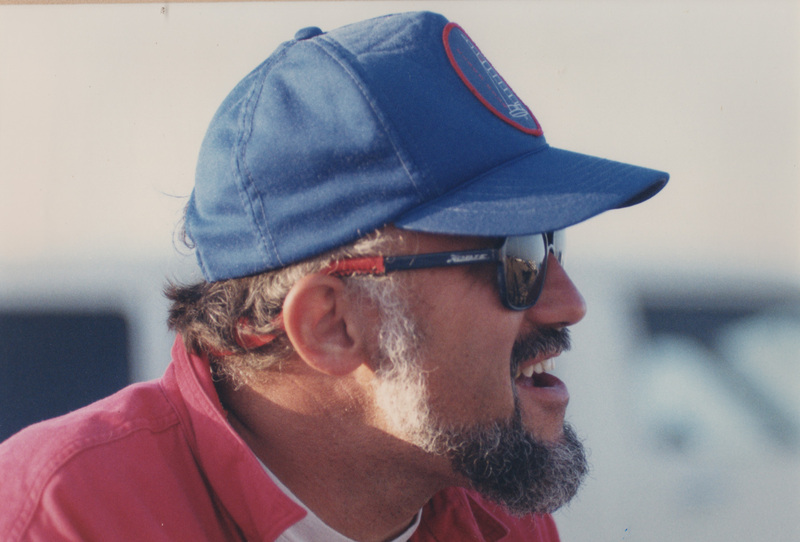 He spearheaded construction of the teams’ first boathouse at Cachuma Lake. Mike worked and played hard. When his sons were young, Maury, Mike, and the boys built floats and marched in the Solstice Parade. Summer weekends were spent with the boys on “Cat” (West) Beach sailing, and winter holidays were devoted to skiing at Mammoth. The Fiesta Parade was celebrated at his office with margaritas for attorneys and judges alike. Mike took up swing dancing in the 1990s and danced up State Street in the Solstice Parade with Jonathan and Sylvia’s ensemble. With Mike at the tiller and Maury on the jib, they raced Nacra catamarans up and down the coast for about 10 years. They later raced sailboats as part of the crew of Rush Street, and then with Uncle Bob until Mike’s death. A formidable attorney widely respected for his oratory skill and command of the law, Mike also inspired generations of rowers. UCSB Crew bought and named a shell the Mike Treman in 2008. He was the family patriarch sought out by family and friends for his dependably wise counsel. They will disperse his ashes in the ocean he loved. Tax-deductible donations to celebrate Mike Treman’s memory can be made to the Cottage Rehabilitation Hospital Foundation at (805) 569-8999 x82143, or visit tinyurl.com/MikeTremanDonate.